Let me begin by expressing my sincere gratitude to Trinidad and Tobago Transparency Institute for extending an invitation to me to be part of this important conference. This is a great honour for me and I am glad to be among distinguished men and women, who share a common goal of finding permanent solutions to the global challenge of corruption. I bring you greetings from equally warm Zambia. When my brother and friend – Dion Abdool, the Chair of Trinidad and Tobago Transparency Institute, extended an invitation to me to be a part of this occasion – I gladly accepted because of the good reputation of this conference as meeting of serious minds who are willing to explore and devise strategies to address pertinent challenges of our times. 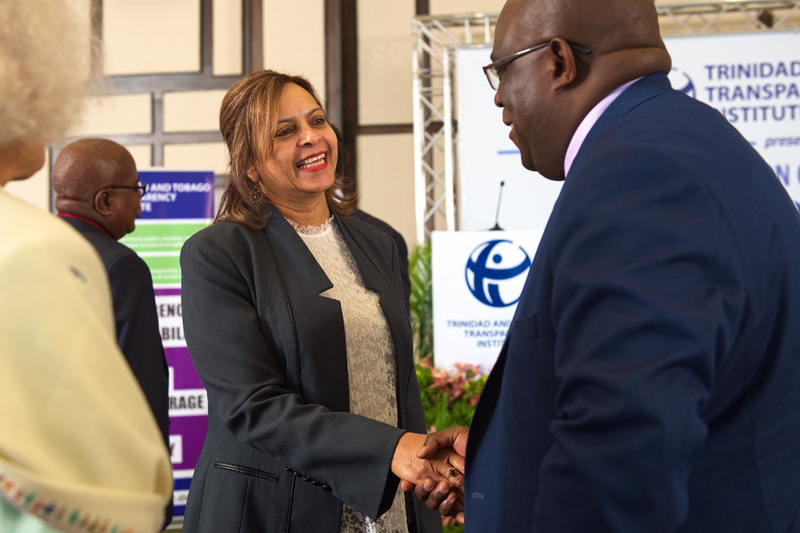 As Transparency International we take pride in the good work of our strong and effective chapters like the one here in Trinidad and Tobago and it is this local work which feeds into our global advocacy programme. We are therefore interested in the outcomes of this conference and we do undertake to share these widely across the 102 countries where we have a presence. 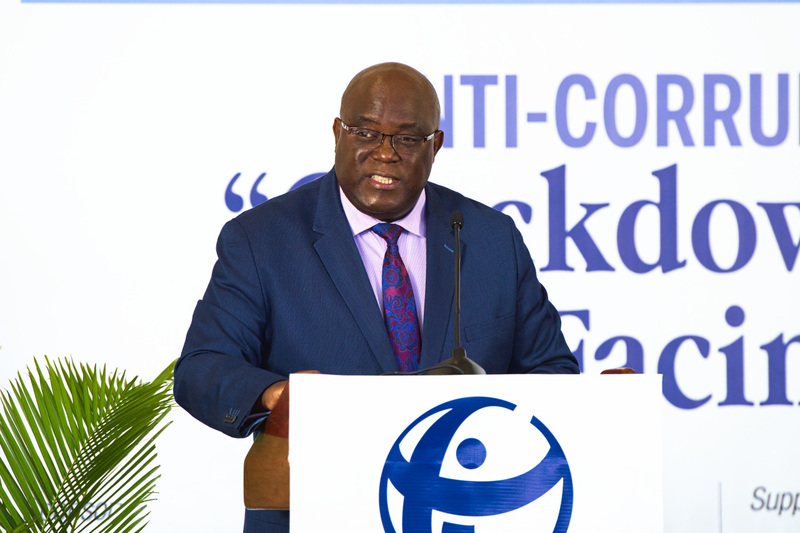 The theme of the conference – “Crackdown on corruption, facing the reality” is not only timely but relevant to this country and many others including Zambia where I come from. I have taken time to reflect on this theme and I will share a few thoughts with you this morning. I consider that there are two limbs to this theme, namely cracking down on corruption, and facing the reality as it relates to the first part. The first limb to the theme- crackdown on corruption is not only a clarion call to action, it is a pointer to the ever increasing corruption levels around the world. Today, it can be said without any doubt that corruption is alive and well. Countries, communities, organisations as well as individuals suffer the direct and indirect consequences of not only petty corruption but collusion, trading in influence, political patronage, nepotism, state capture and grand corruption. In a number of countries, it frightening to note that the state of corruption may become worse in the years to come. We all know that corruption disproportionately affects the poor and vulnerable, the minority and marginalised, women and children. Corruption is not a victimless crime. Corruption deprives this generation and those to come of a future. On the political front, corruption is a major obstacle to democracy and the rule of law. In a democratic system, offices and institutions lose their legitimacy when they are misused for private advantage. Economically, corruption depletes national wealth. Corrupt politicians invest scarce public resources in projects that will line their pockets (legacy projects) rather than benefit communities, and prioritise high-profile projects such as dams, power plants, pipelines and refineries over less spectacular but more urgent infrastructure projects such as schools, hospitals and roads. Corruption corrodes the social fabric of society. It undermines people’s trust in the political system, in its institutions and its leadership. A distrustful or apathetic public can then become yet another hurdle to challenging corruption. Despite this knowledge and awareness of corruption and its manifestations, we continue to witness its uninhibited growth in our societies. Human ingenuity, intellectualism, and industry has successfully managed to solve some of the world’s greatest challenges, and addressed epidemics as well as calamities. We have defied odds and conquered space and new technologies will see the human race push the envelope further. However, insofar as corruption is concerned, we are not on track to finding lasting solutions to the omnipresent crime. One reason for this could be the sad reality that corruption is driven and thrives because of individual greed and selfishness. For some, including those with power and authority to bring about change, the personal benefits of corruption outweigh the public good. I do conclude therefore that it is inevitable for the great people of Trinidad and Tobago, and those of my own country Zambia and the rest of the world, to intensify our efforts to cracking down on corruption. We can no longer sit back and allow this scourge to define us, shape us and ultimately destroys us. It is possible that this conference will sufficiently motivate us and equip us with the knowledge to go out and crack down on corruption but we need to appreciate that our work is conducted in the existing operating environment fraught with a number of shortcomings and limitations. Some of these limitations are obvious such as the lack of adequate policy and legal frameworks, weak institutional capacity of key bodies and poor funding. However, there are many other nuances and realities which need to be noted. We can only craft credible strategies for this venture if we understand the realities which define the lay of the land we work in. I attempt to discuss the second limb of the theme – Facing the reality and I propose a number of perspectives of the realities which are relevant in many contexts and may be of relevance to Trinidad and Tobago. In our work as Transparency International, we have studied and observed that in many countries, the magnitude of the problem of corruption as well as the types of corruption which are most prevalent, is not well understood by many stakeholders. Corruption is not an easy subject to identify and address and for most countries, corruption takes several forms and affects many sectors. The problem(s) of corruption, are not properly framed and the response – whether policy or legal, is tentative and not always the correct one to effectively deal with the challenges at hand. In a number of instances, governments and stakeholders respond to the symptoms and not the causes of corruption. The reality however is that corruption has become complex and sophisticated- every day we encounter new forms of corruption and some of these are linked to equally complex criminal activities like organized crime, money laundering or terrorism. Corruption is not confined to one sector – namely the Public sector but it adversely affects the private sector as well. Today, it is not a rare sight to find a corrupt politician, corrupt lawyer, corrupt pastor or religious leader, corrupt civil society leader, corrupt student, corrupt teacher and corrupt businessman. Corruption has permeated every sector of life- we are encountering corruption in land management, the extractive industry, defense spending, pharmaceutical and health, education, water and sanitation, climate governance etc. Corruption has not spared our electoral regimes and in many jurisdictions the main weakness of the electoral process lies with the ease with which proceeds of corruption shape the elections and subsequently, not all leaders are elected on the strength of their character or capacity to deliver- rather, the elections are decided on the depths of their pockets to buy the elections. Corruption is equally prevalent in political parties themselves and it is ironic if not tragic to find an inherently corrupt political party seeking the people’s vote to form and run a clean government. One area which brings its own complexities, is public procurement. Globally, trillions of dollars are spent each year buying goods and services for public projects. From schools and hospitals to power plants and dams- public procurement means big budgets and complex plans but it also comes with ideal opportunities for corruption. In countries with poor public procurement regulations, contracts to suppliers are awarded without fair competition and this usually allows companies with political connections to triumph over rivals. Corruption in public procurement increases the cost of services to the public. And corruption in public procurement at times is a sources of funds which illegally go to campaign finances. However, corruption in public procurement is not only about money. It also reduces the quality of work or services. It can cost lives – for instance, people in many countries have paid a terrible personal price for collapsed buildings or their health compromised from consuming counterfeit medicines. The reality is that we are dealing with a problem which has many sides to it and is becoming complex by the day. To successfully crack down on corruption we need to have a good diagnosis of the problem. Notwithstanding the challenges of problem identification, it is our observation in the TI movement that in many countries especially those that are perceived to be highly corrupt, political and community leaders, and at times individual citizens, are in denial of the existence of the problem of corruption. Quite often when allegations of corruption are made- those in authorities and have the mandate to do something about corruption, respond rather dismissively. Those who raise such allegations are often derided, threatened and accused of lacking patriotism by seeking to paint the country black. This denial mentality is not confined to the public sector; we have also witnessed private businesses which do not want to admit they have a problem that needs to urgently addressed. 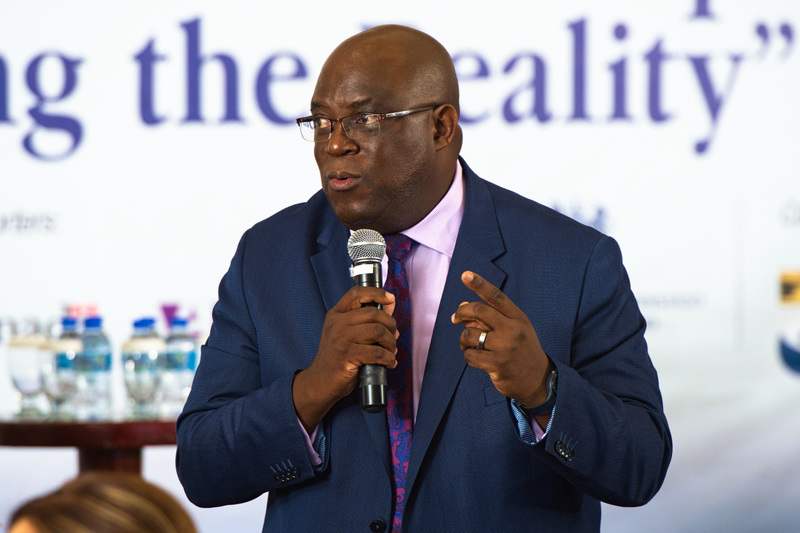 The final act of denial, which we in Transparency International see whenever we launch the Corruption Perceptions Index, is government calling on those raising allegations of corruption to provide cogent evidence of this corruption. This is an elected government, with the instruments of power and institutions mandated to investigate and prosecute corruption cases, asking ordinary individuals to provide evidence. 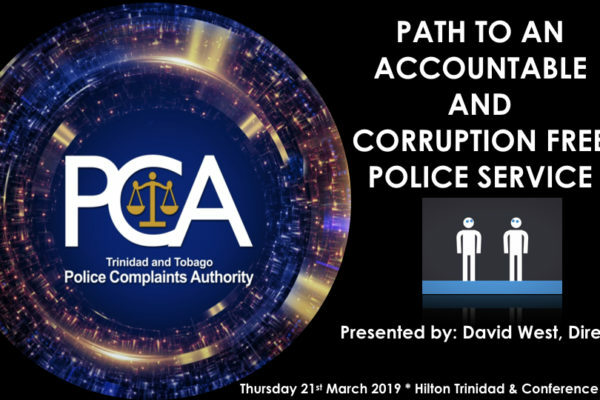 An impression is created that all allegations of corruption – especially those targeting members of the government or ruling party, are simply frivolous and vexatious. This is usually a hypocritical position taken because when these allegations of corruption are made against political opponents, we see members of the ruling party and government leaders taking to the mountaintops to denounce this corruption even without the necessary evidence. This denial of the existence of corruption gives governments and organisations a veneer of comfort that all is well. But the reality which we should all be painfully aware of is that procrastination to openly, urgently and boldly deal with the corruption of today, is basically to delay actions which in the fullness of time will have devastating consequences on our society- our inertia to act now will certainly manifest in negative ways in the near future. In recent times and in many parts of the world, we are witnessing a worrying phenomenon. Corruption continues to flourish uninhibited with no voices of protest raised against it. We the members of society in fact have come to accept corruption as an evil that will always be with us and very little can be done to eliminate it. It is my contention that the greatest tragedy that we face in our countries today, is not the high levels of corruption, the tragedy lies in the indifference that we the people have towards corruption. We have normalized corruption and we go further and rationalize it- we find good reasons to exonerate those accused of corruption. In fact, the corrupt are not without a huge legion of supporters and beneficiaries of their ill gotten wealth. Those who speak or act against the corrupt, are labelled to be political or tribal. At times we have seen heads of government institutions, vilified simply for doing their job. The corrupt live among us, we know them and at times we even elect them into positions of power. This is the reality of the world we live in. It is quite amazing to observe those instances when society elects persons with well known corruption background and we expect them to undergo some form of metanoia and repent from their ways when given the levers of power. Talk about asking fish to fry itself. We as society are at times equally to blame for the corruption taking place in our communities. Admittedly, at times society takes a back seat out of frustration with the lack of progress in the fight against corruption. It is frustrating to note how corruption cases involving high profile persons in society drag on for years before getting to any conclusion and yet the law enforcement agencies and the courts of law act expeditiously on cases involving the small fish. A number of our chapters conduct Bribe Payers Index survey which really examine people’s experiences with corruption and one question whose answers are disheartening relates to whether people who have experienced acts of bribery have reported these to the relevant authorities and the answer is NO- we have no faith that these agencies will do anything about it. High levels of corruption are now accompanied by unprecedented rise in impunity for corruption. In Transparency International, we consider impunity as getting away with bending of the law, beating the system or escaping punishment. Impunity is anathema to the fight against corruption. Due to impunity, the corrupt have lost all manner of fear for public resources and property, the corrupt do not fear the consequences of the law – because through their corrupt deeds, they can circumvent all authorities including the courts of law. It is this culture of impunity that has provided a fertile ground for new forms of corruption – some which violates human rights and threatens peace. Impunity makes the corrupt bold and quite often, the corrupt fight back. The reality that has to be faced is that with the rising impunity, the corrupt threaten, harass and at times harm anti corruption activists, investigative journalists, law enforcement officers and all other authorities. That is what immunity can do- it can lead to not only loss of public resources but a country as well. What was happening in South Africa during President Zuma’s reign reminded me of the infamous statement of Oscar Raymundo Benavides- a Field Marshal and former President of Chile, who once quipped -“For my friends everything; for my enemies, the law.” In order to successfully crackdown on corruption, we should equally tackle the rising impunity. Similarly, political patronage remains another growing concern in countries around the work. Patronage is prevalent and used to party loyalists with unrestricted and unfair access to public contracts and tenders. The beneficiaries of this patronage often do not have the necessary qualification and experience to execute these public contracts – they receive these favour simply on account of their membership to the ruling party or their connectedness to those with power. Patronage does not guarantee the quality of public works or goods supplied by this group which will sometimes refer to as “Tenderpreneurs” in our region. Usually Tenderpreneurs have no specific skills but they have the right connections to identify tenders which they get and are often poorly executed or end up being sold to other contractors to execute. There are a number of people who make a living simply be taking advantages of their relations with those in power. I have had the privilege of being involved in the work of Transparency International for the last 17 years and I have had the the great honour to travel to many parts of the world and witness first hand, the work of our chapters and several other organisations involved in combating corruption. I am also aware of the efforts of the many well intentioned governments who genuinely seek to reduce the levels of corruption in their countries. Such governments have passed laws, established structures to address corruption. Similarly, the private sector, the business community and intergovernmental agencies, continue to pour millions of dollars in anti corruption efforts. We have international and regional conventions on corruption. We have a number of corruption measurement tools like the CPI in place, we have a lot of studies conducted by Think Tanks and Universities right throughout the world. Of concern to me and many others is that over the years, colossal investments made in this anti corruption industry and yet this is not commensurate with the results on the ground. As earlier alluded to, despite this investment, corruption is still prevalent. It would seem the more money for anti corruption activities, the more corruption we have to contend with. And while there are several reasons that can be attributed to for this state of affairs, I would like to suggest that the traditional approach to combating corruption has had limited impact. We emphasise too much on the efficacy of the law and its ability to nip in the bud all manner of corruption. But we need to go beyond the law and deal with building integrity in the public and private sector. We should seek to build individuals, communities and institutions anchored on integrity. Public servants should not engage in corruption because they are afraid of the legal consequences once caught, but they should abstain from this vice because they respect and uphold the value of honesty in their dealings. Corruption should be fought from the ethical point of view as well. I should also highlight that our approach in cracking down on corruption is mainly reactive- we react to incidences of corruption and many a times these unscrupulous individuals are miles ahead in planning their corrupt schemes. We need to invest time and resources in thinking ahead as to the types and forms of corruption that we may have to address and contend with in the future. Quite often we spend time analyzing and agonizing about the corruption of today – which is important but we do not look ahead to the future and corruption. In Transparency International, we have embarked upon a process of Visioning the Future- we are looking at trends around the world and analyzing what corruption will look like in the future against the background of several developments such as the emergence of crypto-currency, Bitcoin technologies, Artificial Intelligence, new global financial systems etc. We are asking ourselves the questions- if these developments do come to pass, what should we be doing to make Transparency International fit-for-purpose in the execution of its mandate? 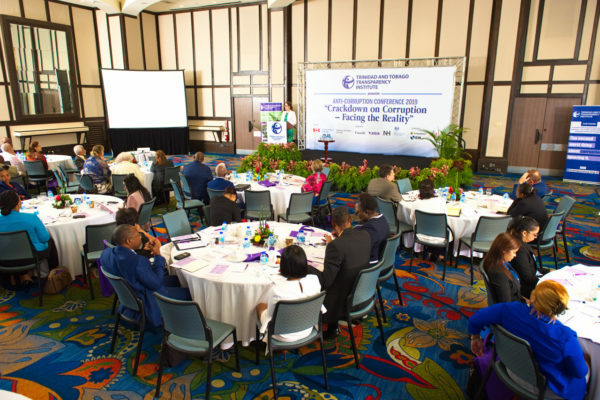 Trinidad and Tobago has to utilize this resolve by many stakeholders gathered here today to find solutions to the different forms of corruption that the country is facing. You should seek ways to improve your standing on the CPI and other corruption measurement indices. Necessary legal reforms are needed to complement the work being done in integrity building. 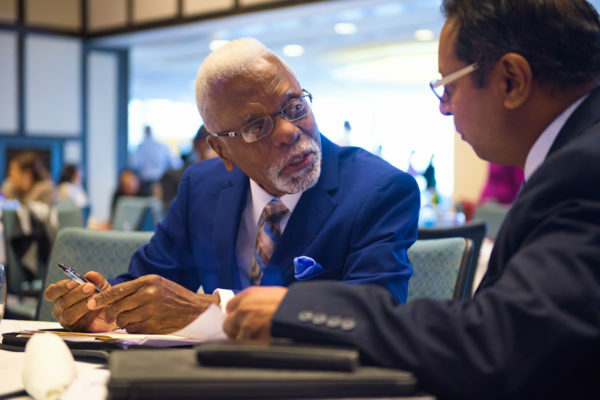 Public procurement laws and regulations which are transparent and aligned to international standards, are inevitable for a country of Trinidad and Tobago’s standing. Similarly, campaign financing regulations are necessary in order to ensure that proceeds of corruption, money laundering and other vices do not enter the election process. I thank you for the opportunity and wish you great success in your work.